Mei (signature) : mumei(Unsigned)attributed as Busyu. Special Feature: On the Mokko style iron Tsuba, mantis, dragonfly, butterfly and a grasshopper are engrave open work. The Tsuba looks Ito school but from many insects engraved, so the Tsuba was judged as Busyu school. 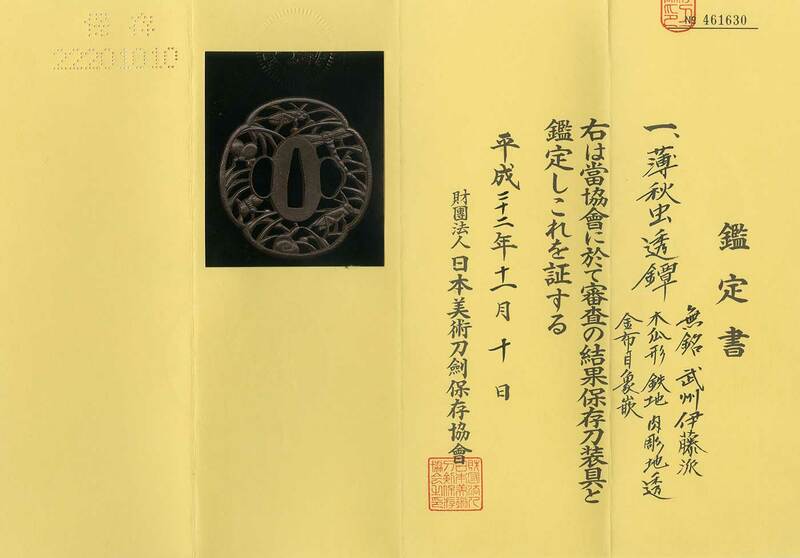 Anyway the Tsuba was engraved by his strong perseverance. We admire his technique and work.